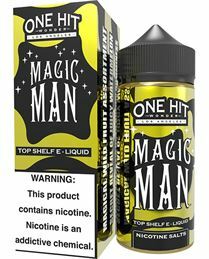 Muffin Man E-Liquid by OneHitWonder A Unique Blend of Sweet Apples and Warm Cinnamon Muffin. The Muffin Man E-Liquid has a robust Apple Flavor on the Inhale followed by Sweet undertones of Warm Muffin. 100% handcrafted in Los Angeles, California. 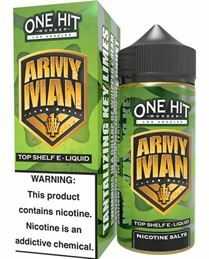 The Muffin Man E-Juice comes in a 100ml plastic squeeze bottle.